That term is no joke! Neck pain can be one of the most common and persistent pains you will endure. Neck pain self treatment is a commonly looked down upon suggestion. However, when done simply and correctly, it can be an effective regimen to add to your daily self-care routine. 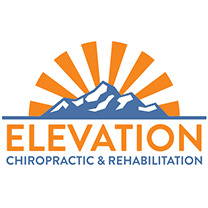 As a Chiropractor in Tigard OR I get a lot of questions regarding “What can I do on my own for my neck pain?” The short answer is: do something! Get out there and move around; our bodies weren’t meant to sit around all day and this is why we have such problems. And because of all the sitting we get neck pain from developing imbalanced to our neck joints. Our head gets used to being slouched over, which brings along with it the shoulders and pain develops. This ultimately a patient ends up looking up Chiropractor in Tigard OR because of the problems that have arose from these body changes. Neck pain starts to become chronic because of the body changes that occur with slouched posture. Neck pain self treatment can help reduce these issues. An assessment and further in person instruction on how we can get you out of pain can immediately get you back on track! If you live in Tigard and would like more information, please contact our Chiropractic Office at 503-206-4620 to schedule an appointment.